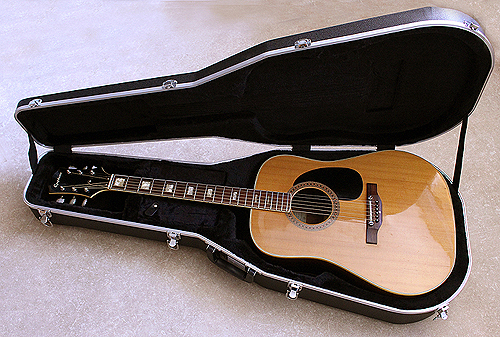 Vintage 1971 Epiphone 6830 Deluxe Jumbo Acoustic Guitar with Gator hard case. Where was the epiphone 6830 made? 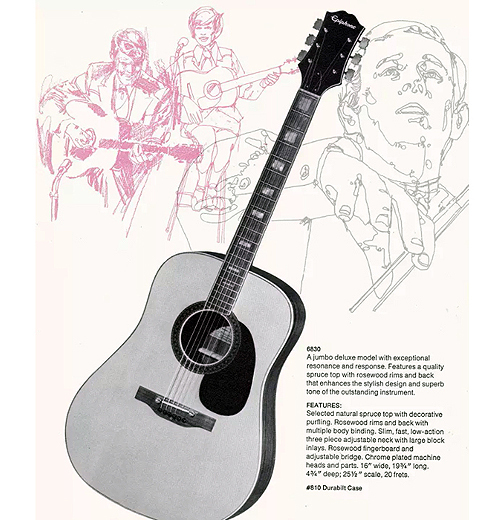 Below is a copy of the original 1971 ad for this model. The guitar was top of the range and this is defined by the detailed binding on the 6830 model. There is a slim profile neck with a rosewood fingerboard and with mother of pearl inlays. The neck is fitted with a truss rod. What are the construction woods on an epiphone 6830? The body consists of a spruce top with rosewood back and sides and an adjustable bridge. Bracing is very good and the guitar has settled and become stable well over the years. Sound wise it is in great condition with no buzzes or chocked notes, intonation is good and it holds in tune well. The guitar has been restrung with Martin .10 - .56 gauge strings. 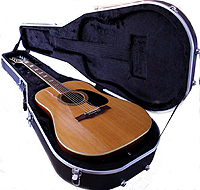 Included with the guitar is a strong lined and fitted gator case also in very good condition.